To understand the newest issues and trends of arts management, we have prepared the “Issues on World Arts Management.” Through analysis of home and foreign editors at “theApro”, this article is planning to organize, by areas and issues, the main keywords that are being dealt with throughout the world arts management sector, and to examine each country’s current situation and response. There are two recurring issues in the world of arts management in North America, one as a continuing case, and the other as a recurring complaint and fear. The first one is the economic poverty of the actors in the field (companies and artists) due to insufficient funding, and the second, the challenge of finding good people to replace the aging population of managers in top positions. 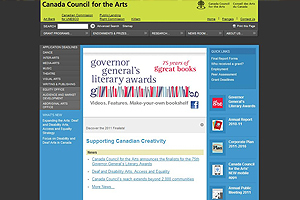 The public funding of artists and arts organizations is different in Canada and in the US. Those two countries come from different cultural background and, to understand their behavior and their public involvement in the arts, one must look back into their respective history. There is very little public funding for the arts in the US compared to Canada. For example, no performing arts company can expect more than 10% of their income to come from public funding in the US compared to 40% in Canada. In fact, many performing arts companies in the US get zero public funding. Then how do they survive? By raising private money and building endowments, they get 50% of their income from fundraising and proceeds from the endowments, and the rest comes from ticket sales. To understand why this system works, one has to go back to the American Revolution. When the Americans gained independence from Britain, they decided that they would never have a King again; they did not want a superior authority that would tell them locally what to do. In America, it is the responsibility of each community to decide, locally, if there was to be a symphony, a hospital or a school built in the community. The Federal Government has no power to impose this kind of decision upon them. As a result, members of each community must participate in the effort to build the communities. This system works with the help of religion. The protestant morality states that if you are wealthy, it is a sign that you will be saved by God under the condition that you give back to the community part of your wealth, this wealth is given by God. However, one downside of this method is that companies that received support from the private sector during the stock market boom may get into trouble when the stock market faces a recession. It is exactly what happened recently with the near collapse of American banks. Any endowment has the potential to face a drastic diminution of its value when the market turns into recession. As a result, many performing arts companies are facing serious revenue problems, and these problems are now the most important issue in the United States. The Canadian system is different. It has been built partly under the Arts Councils model (the English model) and the Government as an architect (the French model). Since public bodies are funding arts organizations for 40% of their revenues, and the private sector supports only 20% of their incomes, these companies were not too severely affected by the last recession. In addition, the banking system in Canada is different and the country did not have to live through what a lot of banks in the world had to face; the Canadian recession was very small compared to the rest of the world. This does not mean that there is no issue in Canada concerning the financial stability of arts organizations, but the problems are more of market saturation and the creation of new companies each year than the recession. In fact, this is a sector continuously growing, and this growth is being boosted by more and more public and private funds over the years. There are no barriers to enter this field. Young artists can form a small ensemble or a dance company or a touring theater company after finishing their training without much money. Small new artistic organizations are founded each year and they apply for funds from the government and try to draw donors’ interest in their products. This issue is arising in the USA as well as in all industrialized countries. However, shortages of funds are a recurring problem that bears no solution, because money cannot be created by magic. Except for management jobs in large cultural and arts organizations where salaries and work conditions are better, the bulk of small and medium-sized organizations in North America are facing the same situation as anywhere else in the world. Problems include low pay, lots of part-time jobs, long work hours and instability. Such characteristics seem to be the way it works in the arts sector. In Canada, managers have tried to overcome the problem of instability and bad working conditions, by forming an association of cultural managers, the Association of Cultural Executives (ACE). This organization existed for many years but was dismissed a few years ago. It seems it was difficult to get managers interested by what some called “not just another association to belong to”. The fact that arts organizations are small and are always on the edge of collapsing is probably another factor that made it difficult to maintain such an association. 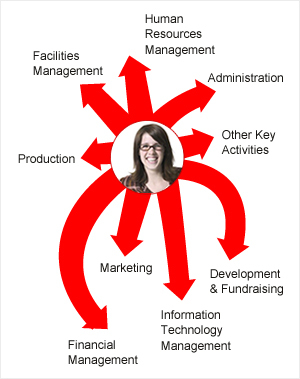 It is widely known that it is difficult to recruit and keep qualified managers. The low salary is one of the factors but is not the decisive factor. People interested in working in the arts sector are usually aware of the low pay that they will get. What is difficult is that they are being forced to work with too small budgets and are demanded to do miracles all the time. This, coupled with a lack of management training and sometimes the refusal of artistic directors to understand the necessity of a balanced budget, makes the task impossible for arts managers. Indeed, the arts business is a business of launching new products all the time, year after year. However, it neither guarantees success, nor does it have sufficient promotional budgets or budgets on product development and market research. There is no other business like this one. Usually, a company in the traditional sector of commerce will stick to a product that is a commercial success and will be able to offer big salaries to the best managers to attract them. This is not applicable in the arts. Artistic directors have a strong feeling of the need to create something. They often turn their back to the work that they have just created to work on a new artistic project. Likewise, audiences are eager to see new performances, something different from the previous one. 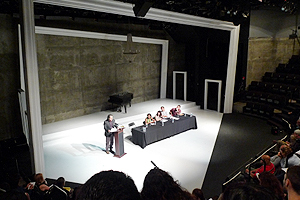 So the push for new artistic productions is coming from the inside of artistic organizations (the artistic director) as well as the outside of each organization (the market) is putting great pressure on the arts managers in theater companies. This makes the companies impossible for them to bid good salaries to attract the best managers, or even to hire young people to work for them and be their success in the future. Nevertheless, this does not mean that no training is available for arts managers. There are many academic programs on offer throughout the world. However, since arts organizations’ administration staff members are so limited in number, it seems difficult to plan for succession for arts managers. Most artistic organizations do not have sufficient financial resources to fulfill their missions, and governments and other funders provide limited support to satisfy the needs of the artistic world. By contrast, there are too many arts groups to be adequately funded with the current support budgets from government and private sectors. As a result, the cultural milieu is looking for alternative sources of funding. In Canada, cultural activists constantly emphasize the appropriateness of expand supports in culture and arts. Art has various benefits: It is useful in education, helps in the health sector, generates economic impacts, gives a sense for life and so on. In my opinion, the statement which argues that “Arts organizations are social enterprises.” is just another justification for obtaining more financial support from the government. Of course I do not have anything against it. In the end, art does perform all of the duties mentioned above. My interrogation is about the primary function of art for the society. A work of art has no other function than art itself. It can be useful to several other sectors of the society, but it is not its main purpose. When I find myself advocating this way for the primary function of art, I always feel awkward since, teaching in a business school, I should be the first one to suggest pragmatic arguments to support the idea that more public money should be invested into the cultural sector. Still, I say that we should take a cautious attitude when we find social or economic functions to the arts, as there is a danger of losing sight of the essential of what artists try to do. Is there any possible solution for the two issues mentioned at the beginning of this article? As stated in the beginning of this article, the oversupply of the cultural market is a reality that has to be overcome. Except for trying to limit the creation of new companies, there is no macroeconomic action that can be taken. Governments and private sectors cannot make significant increases in their financial support, and the money and time that audience (hence, consumers) can spend on arts is limited. In the end, the solution lies on each organization. Better positioning of roles, better service to the clientele, and the use of technology to attract new audience are some of the individual solutions that can be adopted. As for the succession of current leaders, the solution can be found within each company. On the one side, the leaders in place must accept the fact that they cannot keep their positions indefinitely and that their successors will do things differently. On the other side, the arts field should recognize that there exist talented young people who are very well trained from arts management programs and that they need an opportunity to demonstrate what they can do. The preconception that future leaders do not exist should be overcome, and when one looks at the current circumstances with more open eyes the bright future of culture and arts will be guaranteed. François Colbert is the Chair Professor in Arts Management Course at HEC Montreal and theApro’s International Editorial Committee. Over the past 35 years he played an active part in culture and arts, especially in performing arts, art galleries and movies. Moreover, he has run various arts management expert training programs focused on culture marketing, throughout the world including Canada, Europe, Asia, Central and South America.